Do you have deep facial lines and folds that you want to correct with a non-surgical treatment? Plateroti Dermatology is proud to offer Vollure®, the newest addition to the Juvederm® line of injectable dermal fillers. Vollure® helps smooth deep wrinkles and restore volume lost with age. At Plateroti Dermatology, we believe in customizing our treatment plans to suit the needs of each patient. We are a “results based” practice that is dedicated to helping our patients achieve their aesthetic goals through indivualized treatment plans and combination therapy. 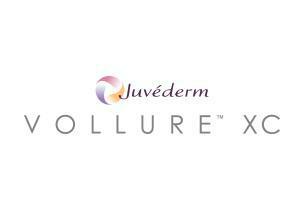 Vollure® is the newest addition to the Juvederm® line of hyaluronic acid based dermal fillers. Vollure® is specifically designed to correct deep wrinkles and facial lines, like nasolabial folds, for up to 18 months. There is a lower concentration of hyaluronic acid in Vollure®, which reduces the amount of swelling in the treated area following an injection session. Vollure® can also be used to improve facial contouring and to restore volume in the lower face region. Are you interested in finding out if Vollure® is the right option for you? 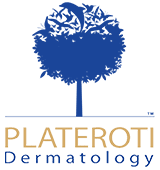 Schedule a consultation with Plateroti Dermatology today! Vollure® is injected directly into the treatment area using a fine needle. Because this treatment is minimally invasive, there is little discomfort associated with it and Vollure® is formulated with Lidocaine to further reduce discomfort. At the patient’s request, a topical numbing cream can also be applied to the treatment area prior to an injection session. There is no downtime required following a treatment session and patients are typically able to immediately resume normal activities. Injection sessions typically take about 30 to 40 minutes, the length of the injection session can vary depending on the area being treated. Results of Vollure® injections can be seen immediately following an injection session, and full results will be visible within one week of a treatment session. Multiple injection sessions may be necessary in order to achieve your desired results. During your consultation, our expert staff review your aesthetic goals and recommend a treatment plan. Results of Vollure® can last up to 18 months. Results may vary from patient to patient. Vollure® is a good treatment option for men and women who are looking for a non-surgical approach to treating moderate to severe facial folds and wrinkles. Your medical history and overall health will be reviewed during your initial consultation. The common side effects associated with Vollure® can include swelling, tenderness, bruising, redness, discoloration, itching, and/or discomfort at the treatment site. These side effects are temporary and resolve on their own. Side effects should typically subside within a week of the injection session. Are you interested in learning more about the newest addition to the Juvederm® line of dermal fillers? Contact our office in Templeton today to schedule a consultation!